An enigma to some and a daily craft for others, the art of key making takes many different forms. Keys cade be duplicated, made from the using just the lock itself, by cutting them with a laser, among many other possibilities. Each way is unique to how it actually pops out a key. Key duplicators are exactly what they sound like; they make copies of keys from existing ones. Something like this is used when you lose a spare or just need another set of house keys for a boyfriend or girlfriend. The machine uses the existing key as a guide to cut a blank one by grinding it down to match the grooves of the old key. Code cutters are used when someone loses a key, the most common reason really. How can you make a key from a lock? You have a machine that measures the depth of each groove in the lock and then can be cut into a new blank key. Some keys actually have their ‘key code’ printed on them, as well as some locks, making this process much quicker. 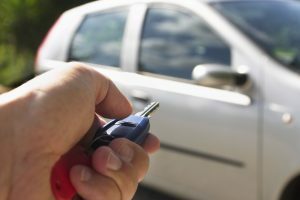 Replacing a lost car key is similar although is a little more difficult to key the key code as they have to use your VIN, make, and model of the car to figure it out. Laser cutters are used for a key that works in a different type of lock. Not all locks use a tumbler method; some use a slider system that requires the keys to be based off of thickness of groves on the side of the key as well. These keys are meant for cars so people can’t use generic keys to break into them, but need a real key to actually work. Funny enough no lasers are used in this machine; it is actually a high-speed bit that uses the ‘key code’ to create grooves and depth at the same time. 24/7 Emergency Locksmith can help you if you need a new key, on the spot. Call us at (484) 891-1922 for 24/7 service.